When 16,000 wines were tasted in the Decanter World Wine Awards this year, only 31 earned Platinum – Best In Show medals. That’s .19% of all the wines entered who make the elite of the elite — and one of those this year was the 2010 Bodegas La Horra Corimbo from Ribera del Duero. 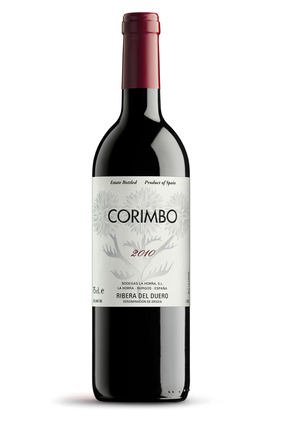 Beyond the Corimbo, five Ribera del Duero wines won Gold Medals in the competition as well: the 2010 Malleollus de Sanchomartin (Emilio Moro), the 2011 Solideo (Bodega Dehesa de los Canónigos), the 2012 Bodega Negón, the 2012 Finca los Hoyales (Cruz del Alba) and the 2013 Silencio de Miros (Bodegas Peñafiel). Meanwhile the 2014 Bodegas Penafiel Miros Joven Roble and the 2013 Penafiel Mironia both took home Bronze medals. A bit to the West, Rueda’s white wines also picked up some awards, with two earning Silver Medals and 33 snagging Bronze Medals in the competition. The vines of Ribera Del Duero have their say as the Aalto 2012 is rewarded a prized spot on Wine Spectator's Top Ten Wines of 2015.